A Cut Above! 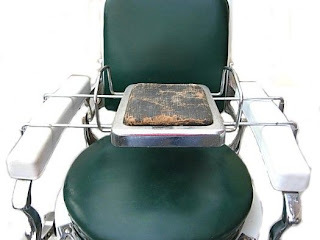 - The Vintage Shaving Shoppe Blog: The Vintage Shaving Shoppe Gets "The Chair"
It's not just about the razor or the quality of the shave - at least it isn't for me and for most serious collectors I know. Razors hanging on a wall or even in a nice glassed-in case look somewhat odd and forlorn set there alone in a living room or office. The finest and most enjoyable collections I have ever seen are put in a setting that gives it context, history...a flavor of shaving past if you like. 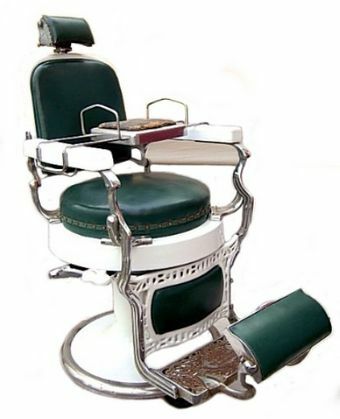 It is with this in mind that I am proud to announce that The Vintage Shaving Shoppe has just laid its hands on a near mint condition 1920s era Koken Barber's Chair with child seat. This beautiful item is all porcelain and nickel plated iron. 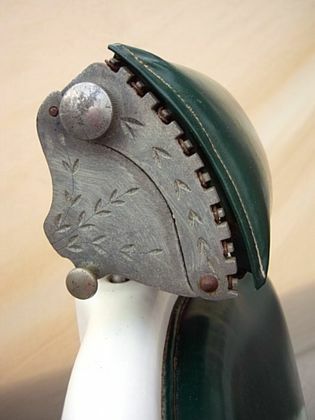 It has the original headrest, original upholstery (or if re-upholstered, it was done many years using original materials). 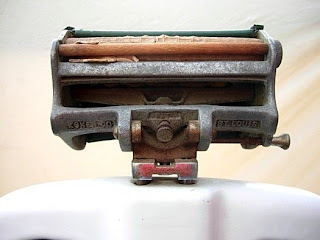 The hydraulics work wonderfully and the chair tilts and swivels like new. 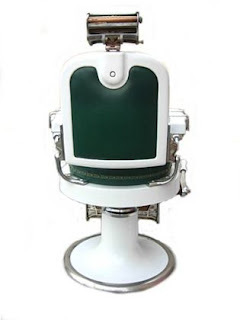 The chair is SO good, that all I have done to it is added hydraulic fluid, lubricated the moving parts and polished and protected the finishes. The only work I am having done (at no small expense) is re-plating the two footrest surfaces with nickel to return them to "showroom" condition and re-upholstering the child seat. 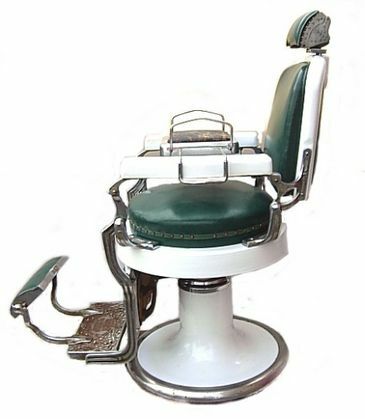 The chair should be available for sale in two to three weeks for $2,500. It weighs approximately 350 lbs, so local pick up is required. I will work with serious collectors who don't mind the considerable expense of having the chair shipped to a distant location. I have also been buying other items that will provide context to and enhance, your collection, including two Gillette display cases, two wooden Sanitizer cabinets and a early 20th century beauticians license. Please feel free to contact me at assistance@vintageshavingshoppe.com if there are items you are searching for that I may not be currently displaying.